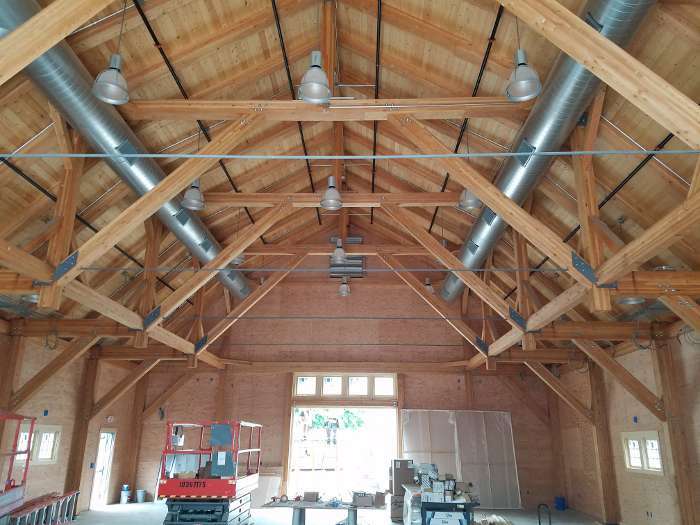 New timber-framed barn structure to replace existing dilapidated barn building. 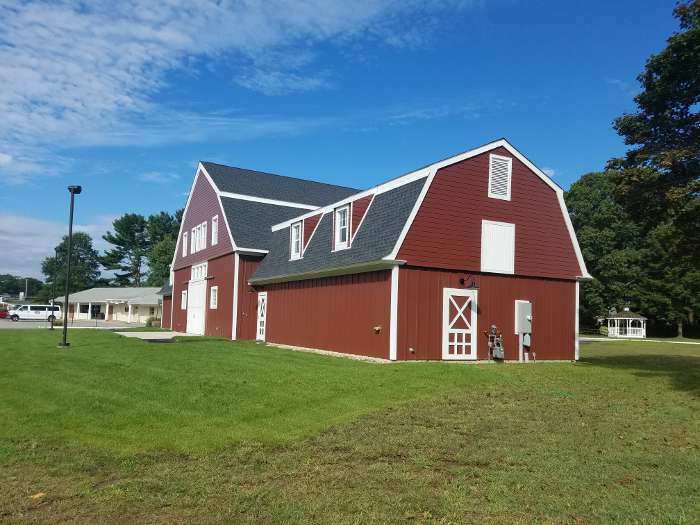 Located on the campus of Mitchell College in New London, Connecticut, the Red Barn was considered an iconic structure to many local residents. 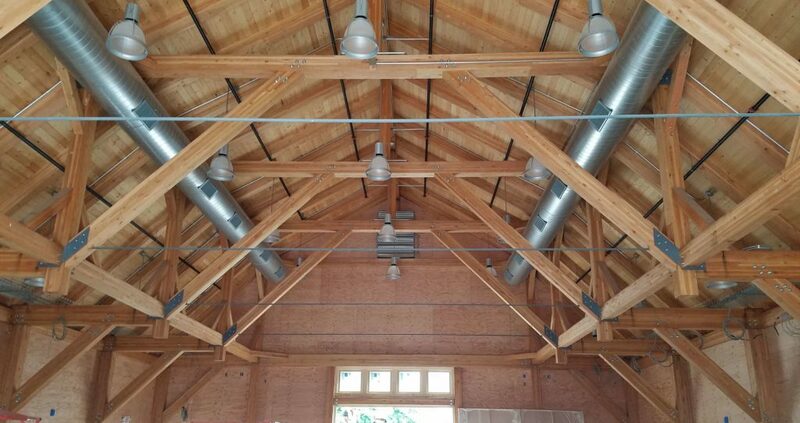 In 2016, e2 was engaged by the Architect/College to perform a structural condition assessment of the existing barn structure. 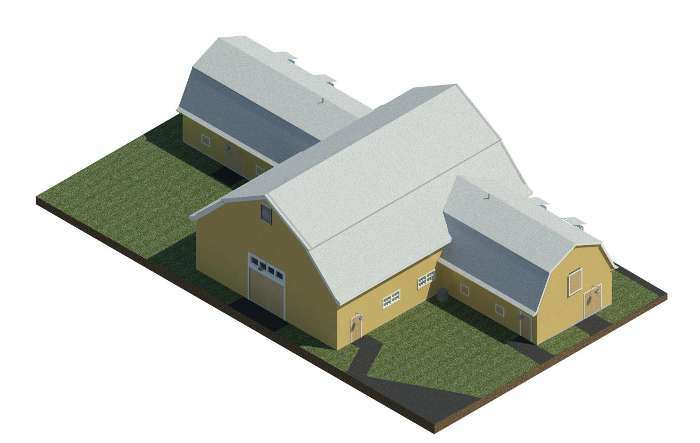 The purpose of the condition assessment was to determine how the existing barn structure would fare as a performance space for the College. 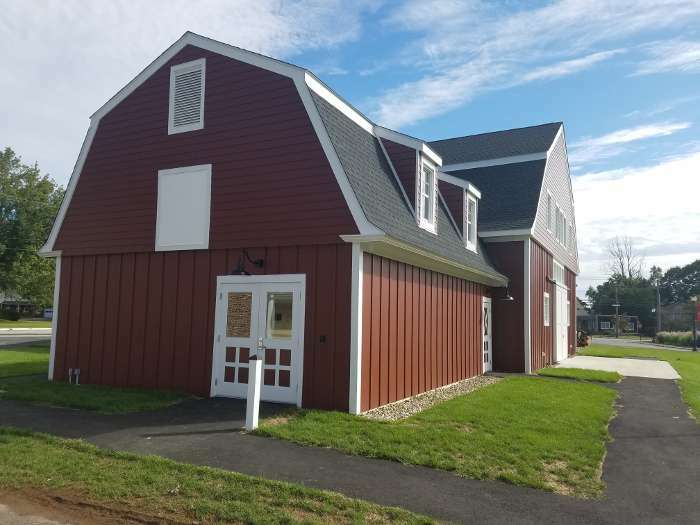 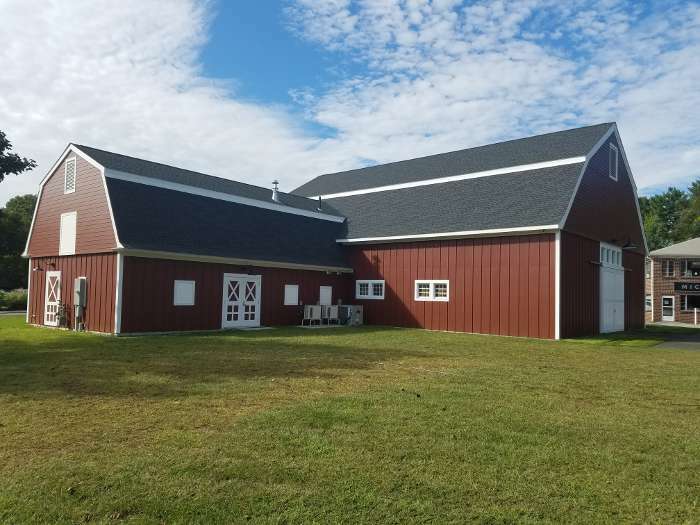 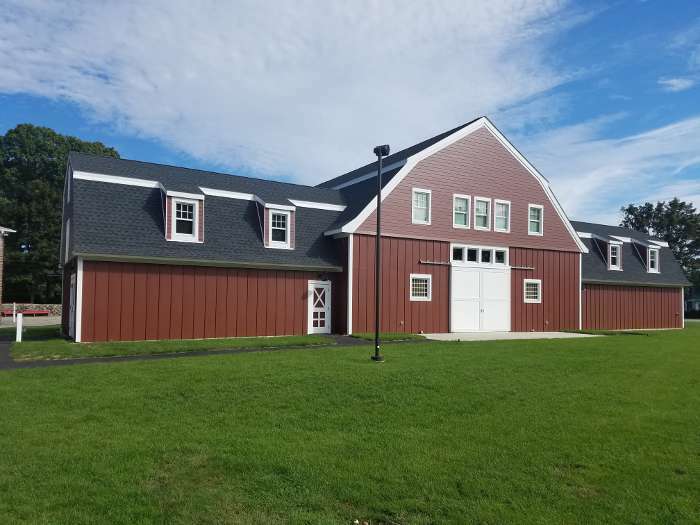 Results from the Structural Condition Assessment: One of the major hurdles for the adaptive reuse of the barn structure was the fact that to be used as a “performance space,” the net result would be a “Change of Use” as cited by the Connecticut Building Code. 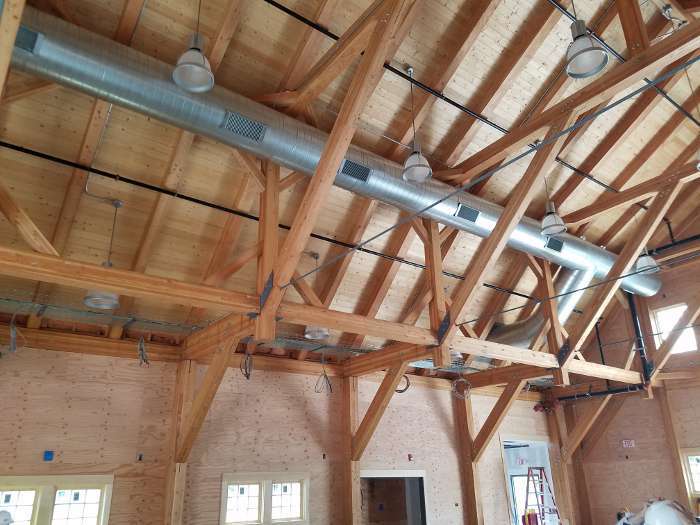 As such, all of the primary structural systems would need to meet the minimum load requirements of the Building Code. 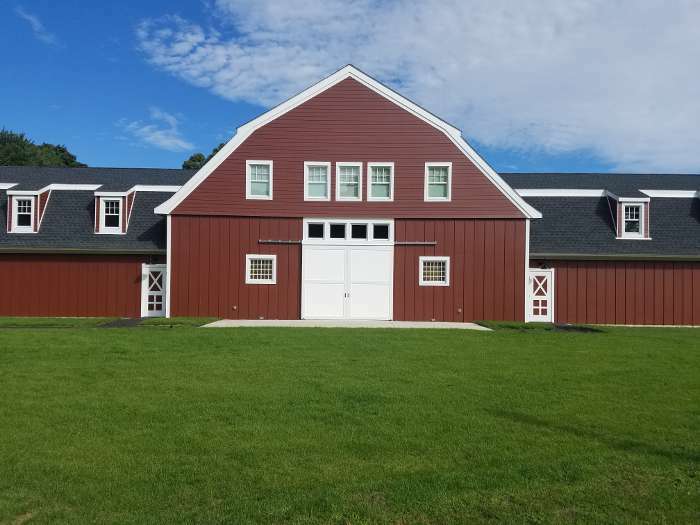 New Structure: To appease local conservationists and appeal to the iconic status of the original barn structure, the Architect undertook replicating the former barn bak to its original construct. 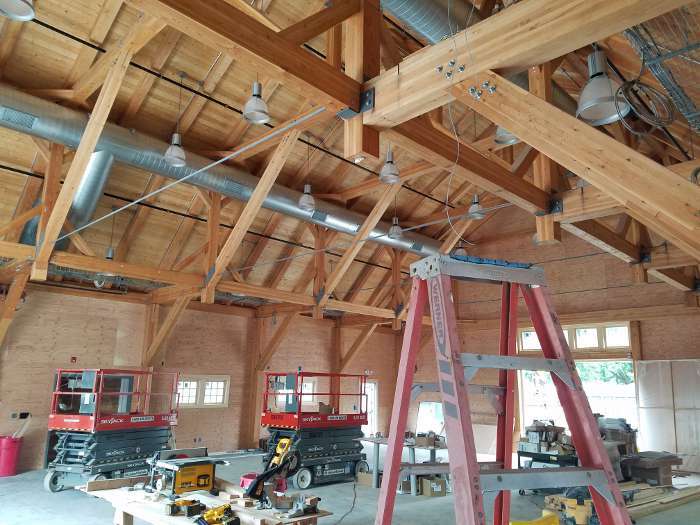 For the framing system, the Engineer utilized glulam timber hammer trusses at 12’+/- spacing for the main volume. 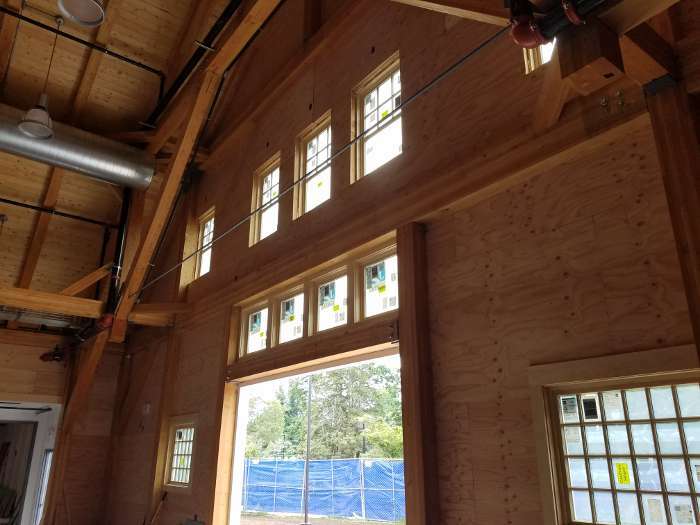 For the east and west wing volumes, conventional stick-framing was implemented to achieve the aggressive project timeline and budget demands.